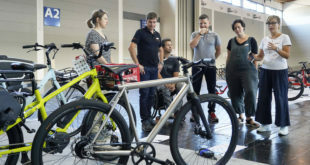 On Wednesday 22nd, Tern hosted an exclusive preview of the latest range, available exclusively in the UK and Ireland from bicycle distributor Moore Large. The event took place inside the popular Look Mum No Hands Kitchen cycle café in Whitechapel, East London. 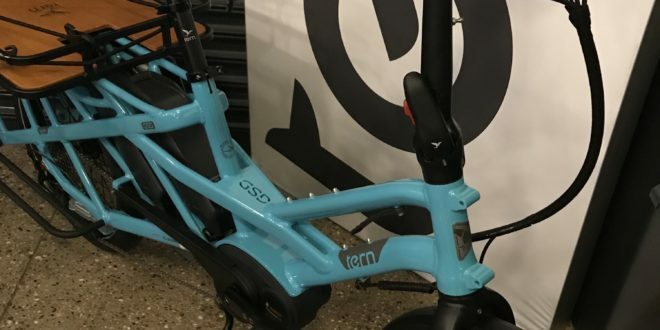 Included in the range were the recently announced GSD e-cargo bike and the Vektron electric folding bike, both of which were available to test out by guests on the night. Tern recently announced the release of the GSD ‘compact utility e-bike’. Designed to carry two kids and a week’s worth of groceries or 180kg of cargo, the bike is just 180cm long. It features a Bosch Performance motor, with up to two batteries which power it for up to 155 miles, fully equipped with rack and 62-litre panniers. 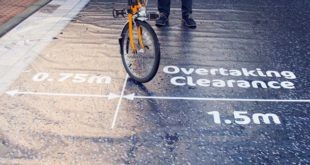 The new bikes will be available in Q1 of next year, with an exact date to be confirmed.